My brain is overflowing with painting ideas. Good thing I captured some of them in my sketchbook over the last few months. If I don't record them, they leave me and may or may not return. 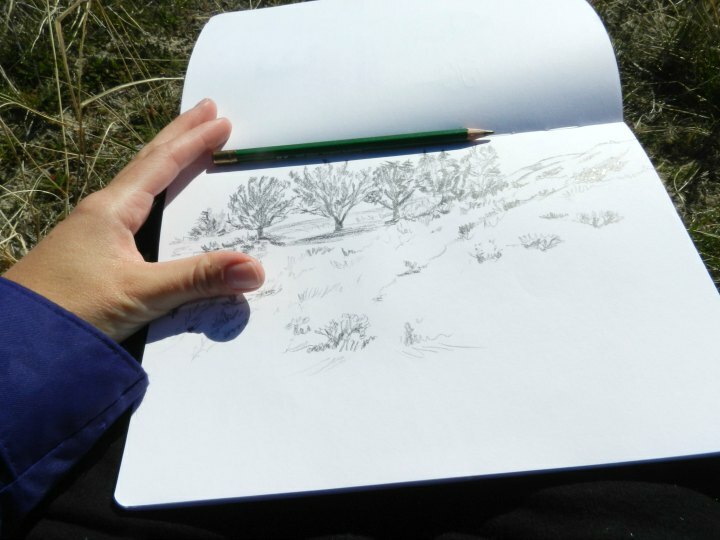 One sunny afternoon I got the urge to get outdoors and sketch some landscape. It's all still brown here but it was beautiful and warm and I was reminded of why I love to create outdoors! It restores my soul and gives me peace. What's your favorite way to spend time outdoors? Me displaying my awesome ability to photograph myself and draw at the same time-haha! not really- I was just posing here! These are great! particularly love the 2nd and 3rd. I've just gotten back into drawing again and finding it a great method for relaxation! Thanks Alana! 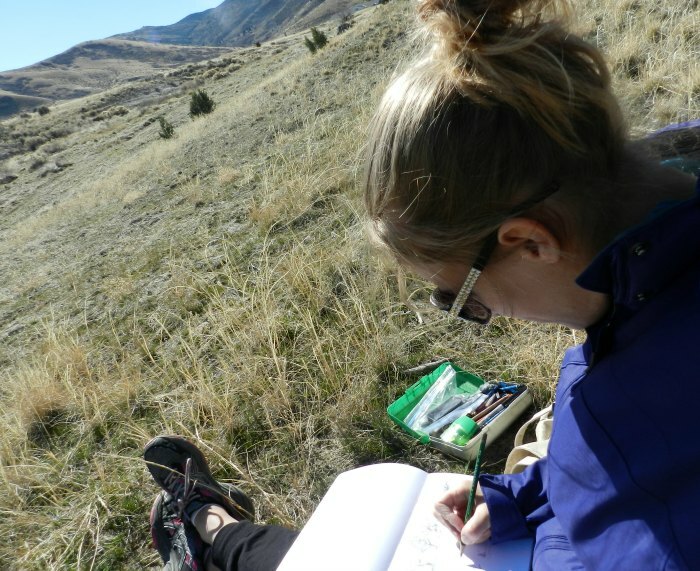 I'm glad you are getting back into drawing, yes it is relaxing! You are so very creative and I love your abstract and realistic paintings. I love being outside too. It looks like you've found a great place to relax and recharge!